Noakes TD, St Clair Gibson A, Lambert EV. From catastrophe to complexity: a novel model of integrative central neural regulation of effort and fatigue during exercise in humans. Br J Spotrs Med, 2004,38:511－514. Noakes TD, Peltonen JE, Rusko Hk. Evidence that a central governor regulates exercise performance during acute hypoxia and hyperoxia. The Journal of Experimental Biology, 2001,204:3225－3234. Noakes TD. Central regulation of skeletal muscle recruitmen explains the reduced maximal cardiac during exercise in hypoxia. Am J Physiol Regul Integr Comp Physiol, 2004,287:R996－1002. Noakes TD. Linear relationship between the perception og effort and the duration of constant load exercise that remains. J Appl Physiol, 2004,96:1571－1573. Gandevia SC. Spinal and supraspinal factors in human muscle fatigue. Physiol Rev, 2001,81:1725－1789. St Clair Gibson A, Lambert EV , Lambert MI, et al. Exercise and fatigue control mechanisms. Int J Sports Med, 2001,2(3):533－39. St Clair Gibson A, Baden DA, Lambert MI, et al. The conscious perception of the sensation of fatigue. Sports Med ,2003,33:167－76. 武桂新,谢敏豪,冯炜权. 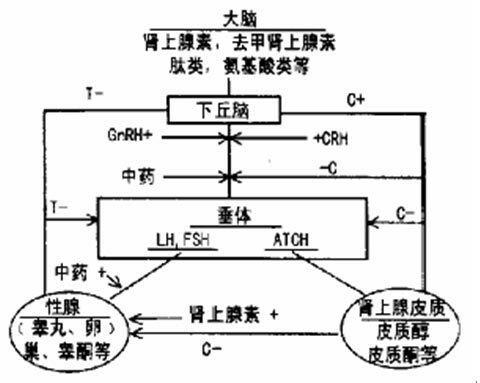 运动应激与睾酮生物合成研究进展.北京体育大学学报, 2001 , 24 (3) 342 - 346. 谢敏豪,冯炜权,杨天乐. 血睾酮与运动. 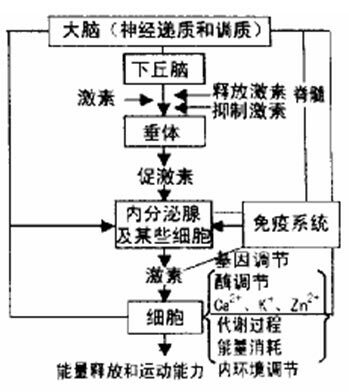 体育科学, 1999,19 (2) :80－83. 徐晓阳,冯炜权,曹建民等. 运动性低血睾酮及补肾中药对大鼠能量代谢某些指标影响. 中国运动医学杂志, 2000,19 (3):282－284. 谢敏豪,方子龙,万劲等. 补肾中药对训练者下丘脑- 垂体- 性腺轴功能及运动能力的影响. 中国运动医学杂志,1996,15(1): 12－17. Barinaga M. Buddhism and neuroscience. Studying the well-trained mind. Science. 302(5642): 44-6. Solberg EE，Ingjer F，Holen A，Sundgot-Borgen J，Nilsson S，Holme I. 2000. Stress reactivity to and recovery from a standardised exercise bout: a study of 31 runners practising relaxation techniques. Br J Sports Med ,2000,34(4):268-72. Solberg EE，Berglund KA，Engen O，Ekeberg O，Loeb M. The effect of meditation on shooting performance. Br J Sports Med, 1996,30(4):342-346.